Welcome to our store, all our goods in stock are with reliable quality and competitive price! And we will ship the goods as soon as possible. Any problems, pls feel free to contact us online or through email. We are always online at your services and our sales staffs are well trained to answer you any questions in English. 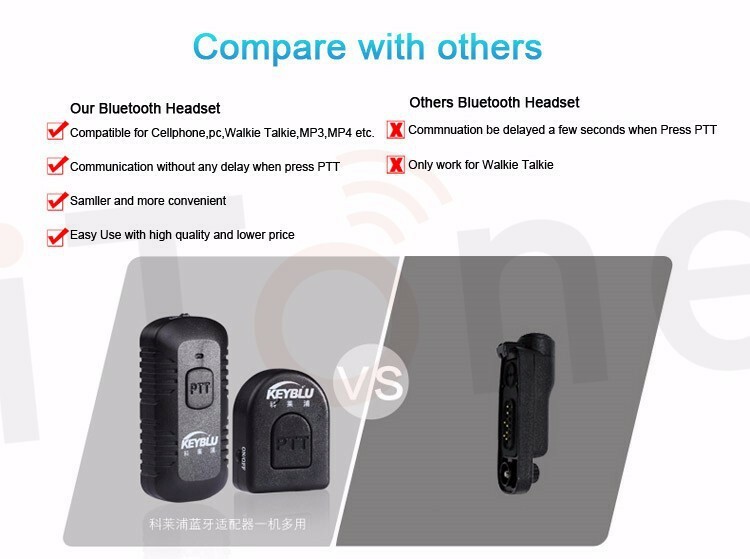 Application Method Pairing Operations Before use, in order to make sure the products work properly, turn off the adapter, wireless PTT, bluetooth headset and fully charge them. 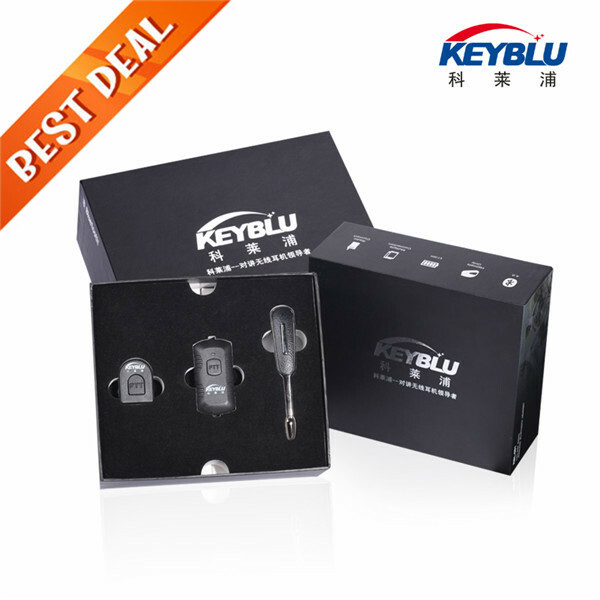 Normally, KEYBLU wireless kit is well paired before delivery. 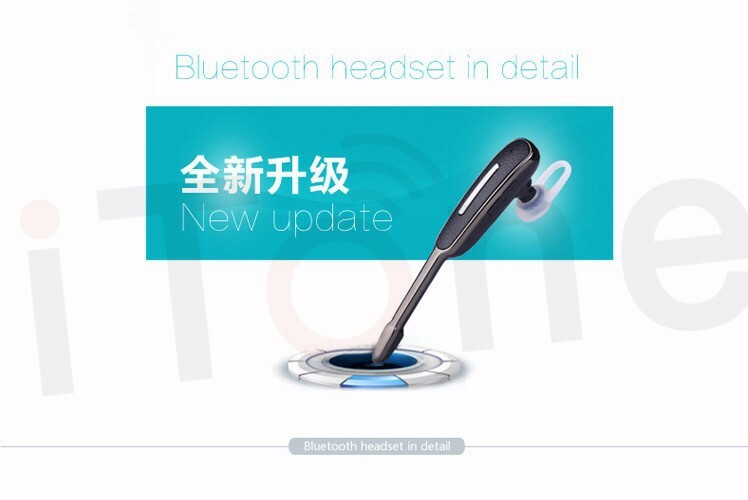 Please follow instructions as below if you need to pair other bluetooth headset: 1. 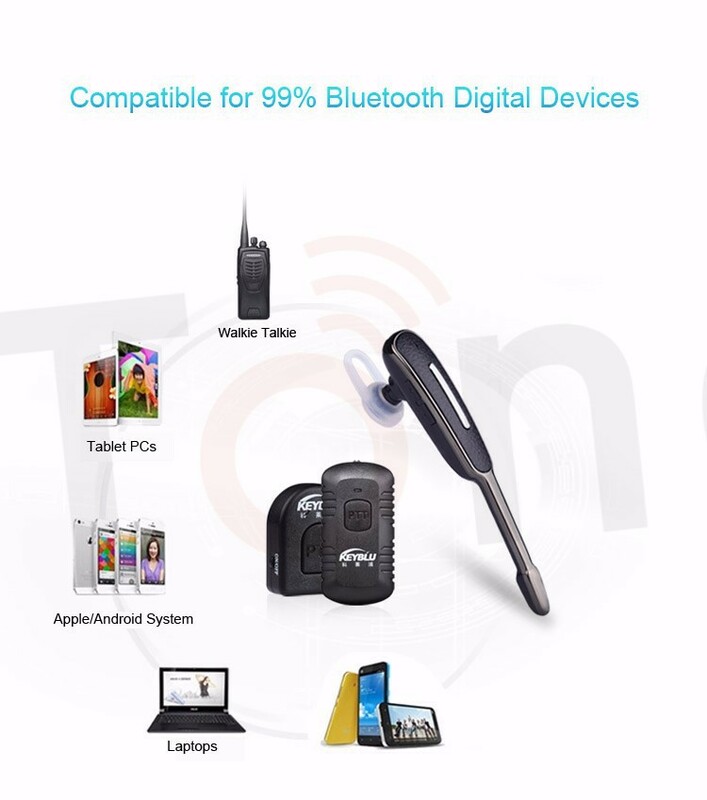 Place the adapter, wireless PTT and bluetooth headset within 1 meter distance. 2. Press “on”button of adapter for 3-7 seconds, then press PTT button for 3-5 seconds until red and blue LED flash in turn, now adapter in pairing mode. 3. 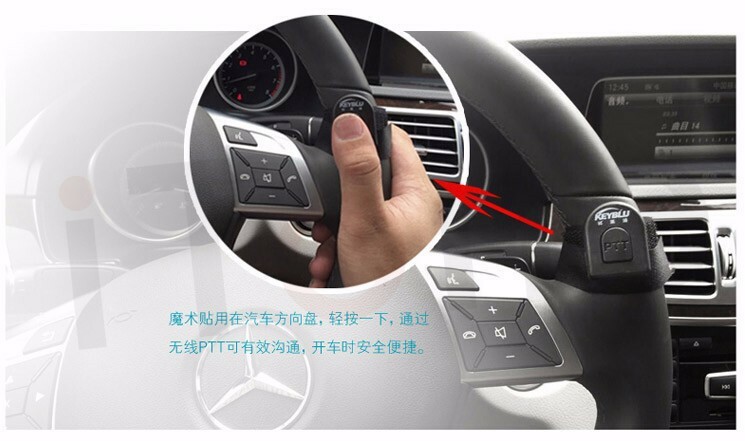 Turn on the bluetooth headset, press the multi button until red LED flash rapidly, now headset in paring mode. 4. When LED indicator of both adapter and bluetooth headset become red and blue flash in turn rapidly to blue only slowly, they are paired. 5. Turn off both adapter and bluetooth headset. 6. 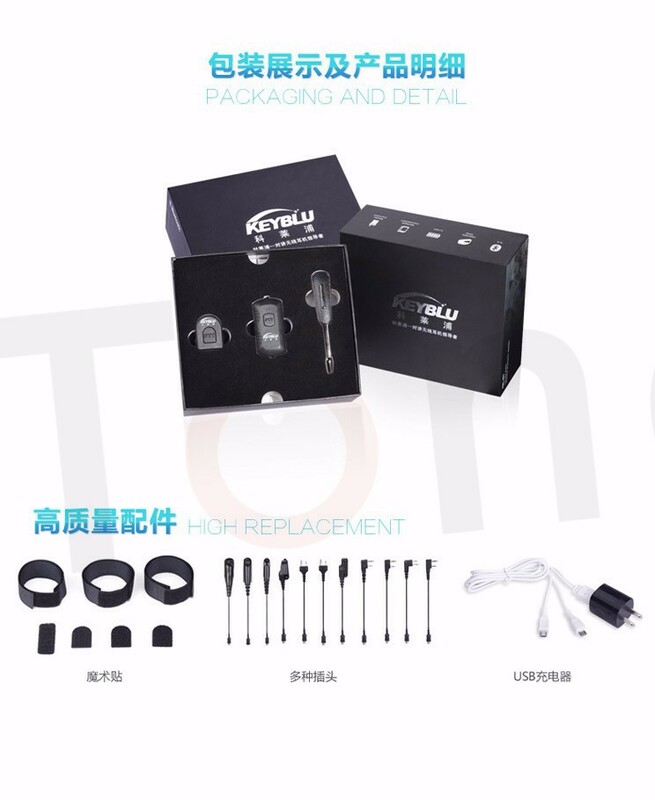 Turn on the adapter and wait 3-7 seconds and then press the PTT button for 5-10 seconds until LED indicator keep blue flashing, now adapter in pairing mode. 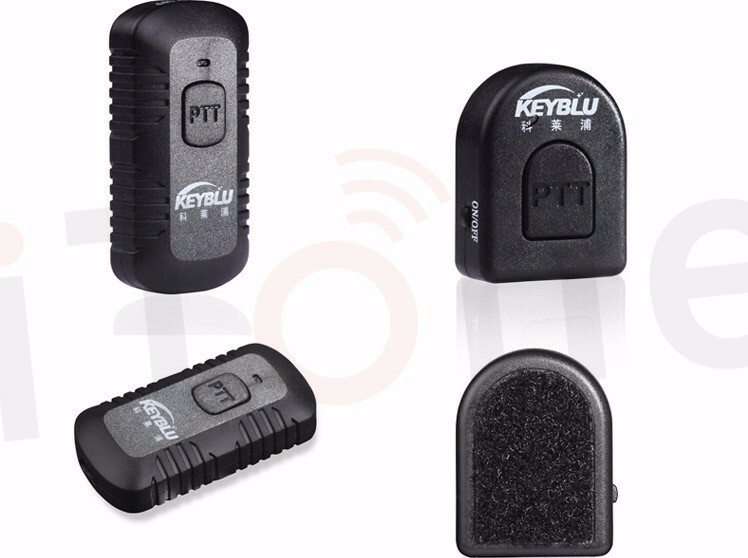 Turn on the wireless PTT(press ON/OFF button), press its PTT button until LED indicator flash, then press its ON/OFF button and face to adaptor until its LED indicator become keep blue light to flash regularly, now adaptor and wireless PTT are paired. 7. Normally, you only need to pair them one time, don’t need to pair again after turn them off. Directions for Use 1. 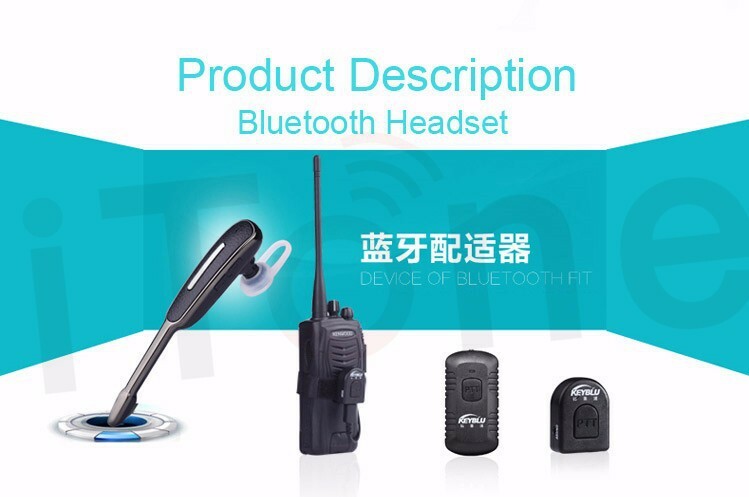 Turn on your two-way radio and adjust to requested frequency range, make sure the two-way radio in good talking condition before connect to the bluetooth headset. 2. Connect the adaptor to your two-way radio with correct connector, then wear the bluetooth headset. 3. If your two-way radio receive wireless signal, you can hear voice signal from the bluetooth headset. When you want to talk, press the wireless PTT, now the two-way radio in transmit status, you can just feel free to talk. After leave the PTT button, you will receive calling. 4. 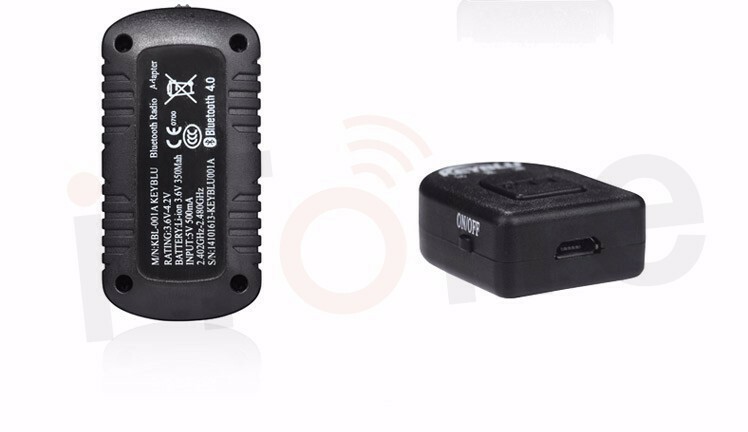 If the wireless PTT is out of power or lost , you can use the PTT of adapter in replacement. 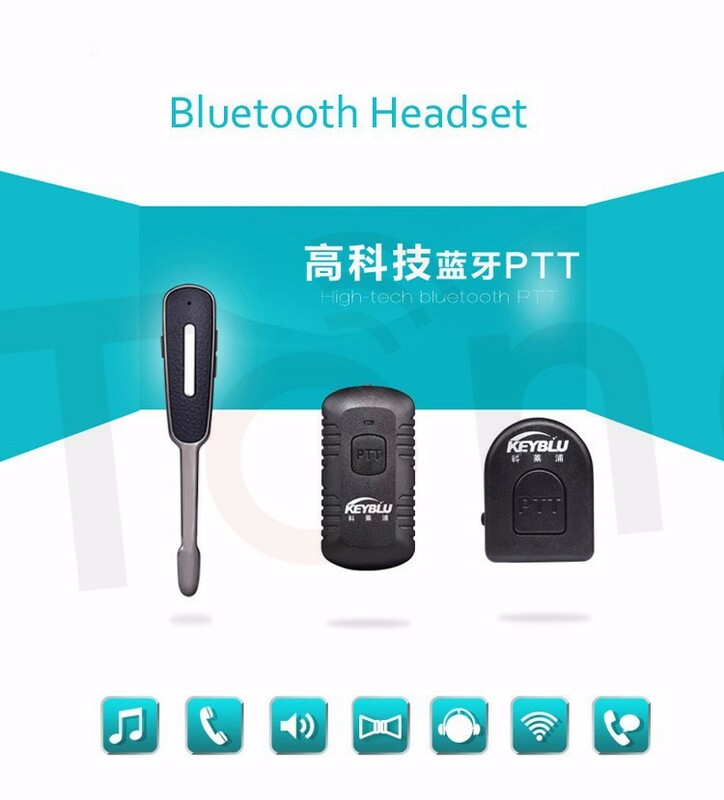 After pair the adapter and bluetooth headset, connect the adapter to two-way radio, press PTT button of adapter, now two-way radio in transmit status, you can make calling. 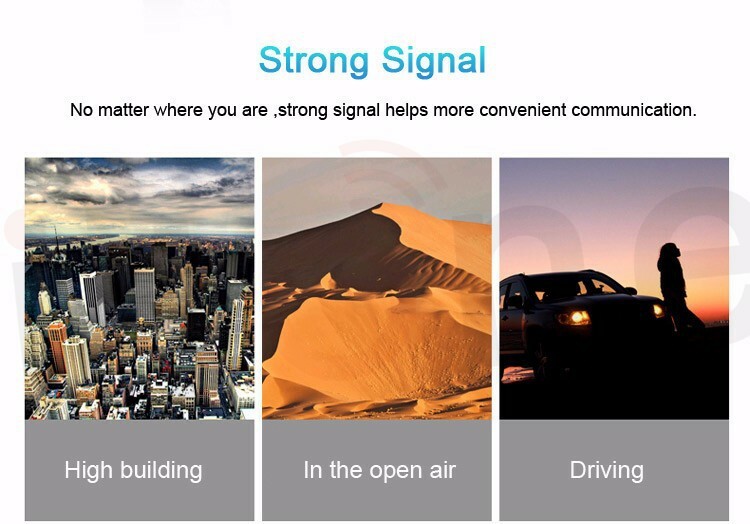 Press the PTT button again after talking, now two-way radio in receive status, other radio signals can be received. Solutions for Disconnection 1. 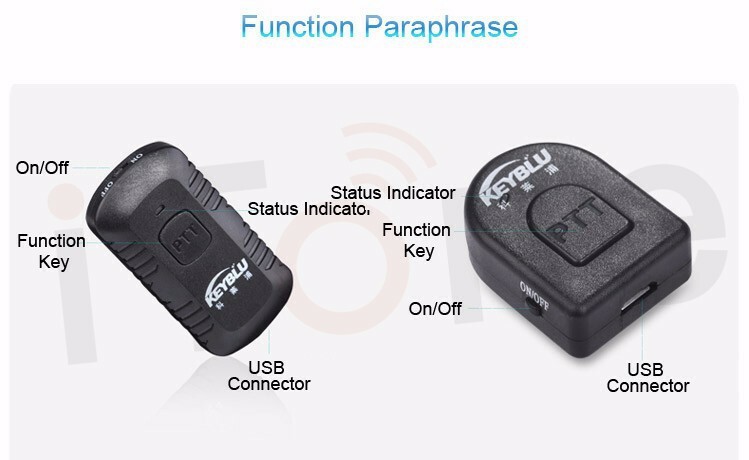 If you accidently turn off the adapter, just turn it on again, it will automatically connect to bluetooth headset and wireless PTT. You don’t need to pair them, the bluetooth system will work properly again. 2. If wireless PTT doesn’t work, normally, it is out of power, please just charge it up. 3. If you accidently turn off the two-way radio or need to change its battery, just turn it on again, the bluetooth system will work properly again. 4. If you accidently turn off the bluetooth headset, just turn it on again, it will automatically connect to adapter and work properly again. Charging 1. When wireless PTT in standby or talking condition, if the red light flash rapidly 5 times and repeat after each 10 seconds, its battery power is low 2. When adapter in standby or working condition, if the red light and blue light flash in turn rapidly 5 times, its battery power is low. 3. Now please charge them up with the dedicated chargers, it takes about 2.5 hours to charge fully, they LED turn off when complete. ATTENTION: DO NOT use them during charging. Mobile Phone Connect Options The bluetooth headset can be connected to mobile phone at the same time while connected to two-way radio. If you have a phone call during talking on two-way radio, the headset will warn accordingly. Then you may just press the PTT/multi button to answer. After phone call, you may just press the multi button again to hang off and return to radio standby mode. Please follow below instructions to achieve this function: 1. Turn off the adapter and bluetooth headset. 2. Turn on bluetooth of your mobile phone and search for bluetooth device. Then press multi button of bluetooth headset for 3-5 seconds until LED flash red and blue in turn. 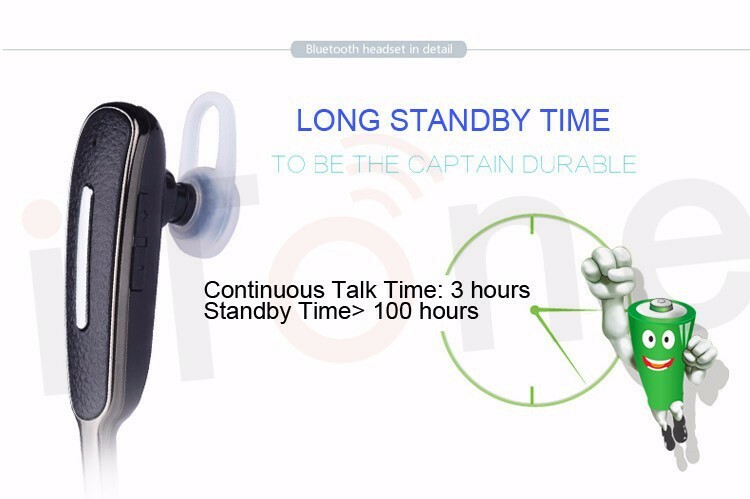 Your mobile phone will display KBL-001 when the headset searched. When LED flash from red and yellow light to blue light, the headset connected. 3. 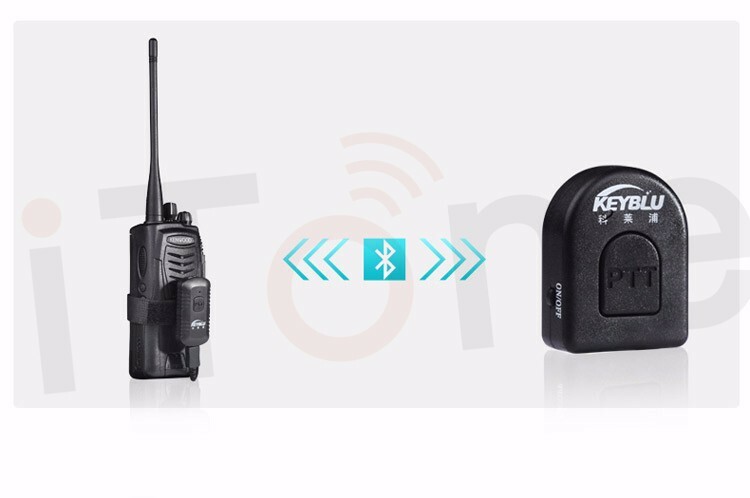 Turn on the adapter, now you can use the bluetooth headset on both two-way radio and mobile phone. Care and Maintenance This wireless kit is delicate electronic gadget, please take good care of it. Below are some suggestions for care and maintenance: 1. Keep dry. (Any water, rain, moisture or liquid may cause damage, you should let them dry immediately if got wet. ) 2. 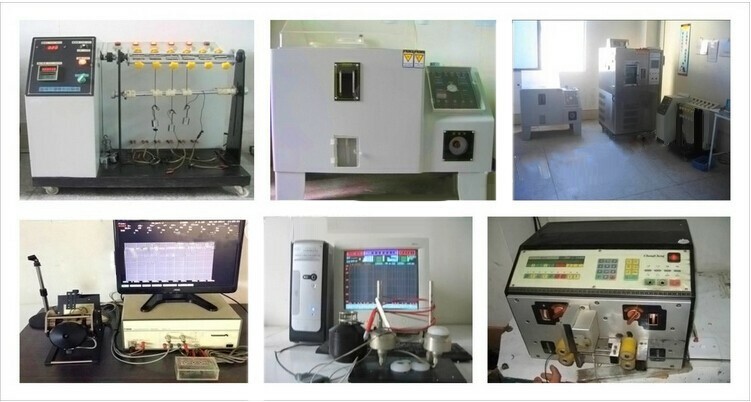 Do not place the products on any superheated place, high heat may shorten their life time, destroy the battery or make some plastic parts out of shape or even melt. 3. Do not drop, strike or shake, otherwise, inner electron device or external appearance of the products may got damages. 4. Do not use strong chemicals or detergent to clean the products. 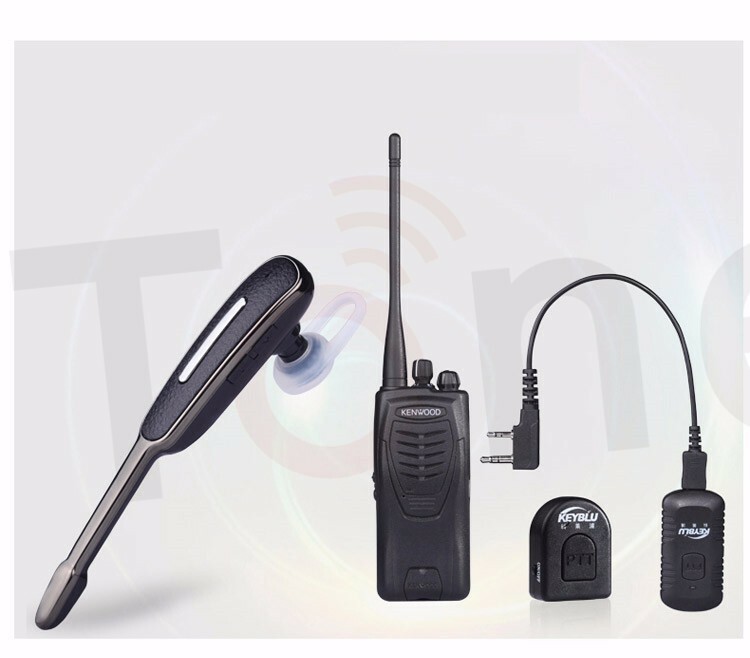 Safety Instructions This wireless kit is compatible with various two-way radio and mobile phones, please strictly follow below instructions during use to ensure safety: 1. Please check and test the products carefully before driving or other hazardous operations. 2. DO NOT talk too long time during driving to avoid distraction. 3. The products are not water resistant, DO NOT waterlogged during use. 4. The product is wireless, DO NOT use in high radiation environment to avoid possible hazard. 5. DO NOT drop or take the wireless products violently during use. 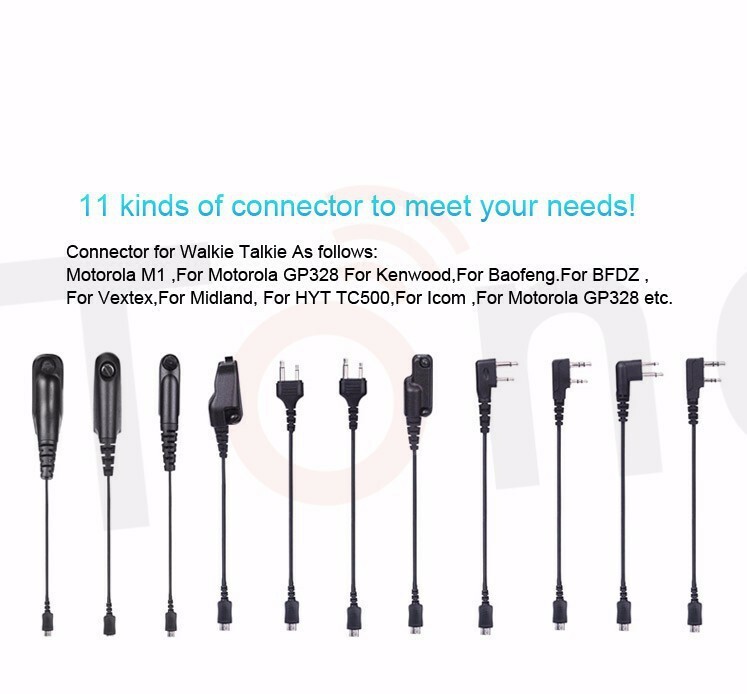 Products Compatibility There are different connectors optional for the adapter to suit various two-way radios. 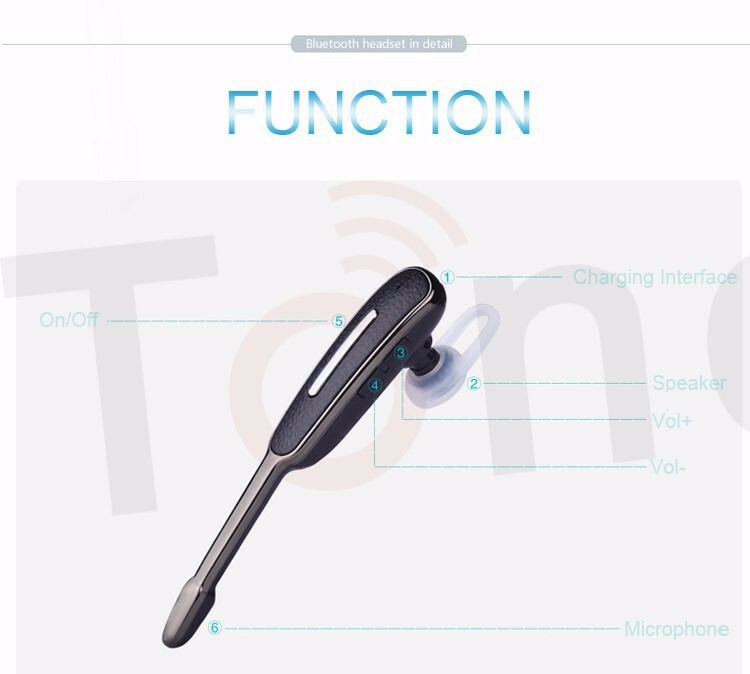 The bluetooth headset can be connected to both two-way radio and mobile phone. The adapter adopted 4.0 bluetooth version, more faster and stable. Package and Accessories Inspect The products are strictly checked and well packed before delivery. 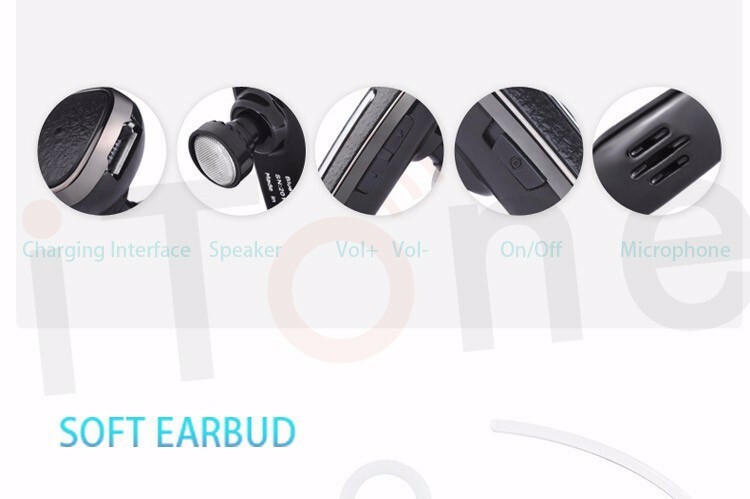 Each package includes an adapter, a wireless PTT, a bluetooth headset, a charger, a USB cable, a standard Kenwood connecter for adapter, an ear hook for bluetooth headset, two sets of Velcro, a user manual.